From our very early beginnings we have clothed and adorned ourselves. Across cultures, countries and climates we use clothing to protect ourselves, communicate our culture and identity, and evolve who we are, reflecting our innate selves. At Clothe we believe in a world that celebrates diversity and authenticity. We advocate for the preservation and understanding of the role clothing can play in telling our stories and illustrating broader history through our most intimate possessions, our clothes. Protect: Clothing protects us from hazards in our environment. 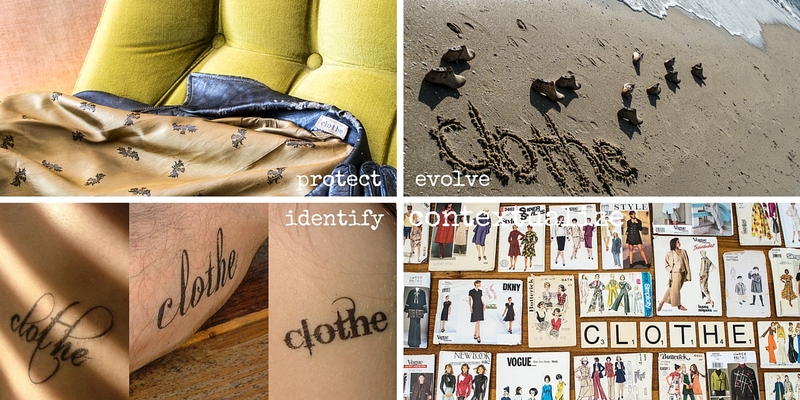 Evolve: Clothing evolves with us, reflecting the constant change that we experience. Identify: Clothing communicates who we are; we use it to express ourselves and perceive others. Contextualise: Clothing is contextual, embedded in a time and place. It influences the future, illustrates the present and reflects upon the past. No change in dress happens in isolation. All choice in dress happens for a reason.